Talamanca Biodiversity and Sustainable Development Initiative. The initiative worked to save the biodiversity-friendly tree-based farming systems of the region’s indigenous and campesino families, which were devastated by the monilia disease of their only cash crop, cacao. ANAI introduced and evaluated more than 200 species of perennial crops from similar tropical lowland environments. About half were from other countries. For many species, this was the first time they were established in Costa Rica. Through the nurseries, the most promising of these species enriched the farms of more than 1,500 families in 35 different communities. Including improved varieties of cacao, fruits and native forest species, more than 2,000,000 trees were established, strengthening the diverse, organic agro-ecosystems. They continue to provide income, food, medicine, wood, environmental services and a more diverse, healthy diet. Farmers were trained in agro-ecology principles and practices; organic agriculture practices, certification, and control systems; and small animal husbandry. Building on ANAI’s early work with introducing new agro-biodiversity species, more than 100 superior varieties of 40 kinds of fruit trees were established on family farms throughout the landscape for evaluation and further propagation. 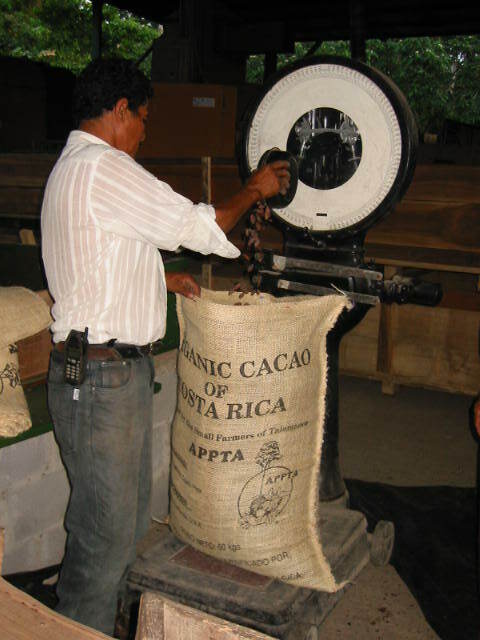 APPTA, the organic farmers processing and marketing cooperative; the Biological Corridor Association, the landscape-level conservation and sustainable development organization; and many community-level organizations were created by local people as part of the Talamanca Initiative. They have become essential pillars for current and future sustainable livelihoods in the region. ​Sustainable productive activities were promoted via collective action, family initiatives and hands-on training. Sustainable jobs have been created in organic agriculture, cacao and fruit processing and export, community tourism, community water systems, solid waste recycling, nurseries, reforestation and conservation. ​The initiative supported the development of tourism as a complementary source of income for the people and communities that are caring for nature. In contrast to the outsider owned businesses that do little to protect nature and provide limited development options for local people, which typify the modern ecotourism model, seven community-based lodges and many more family-level bed and breakfasts were established. Local people developed skills as nature, scientific and cultural guides, in small business management, safety, sanitation, and many other areas relevant for developing tourism livelihoods in remote communities. These grassroots initiatives not only provide stable jobs and diversify the local economy, they invest in community conservation and wellbeing through projects like the high school built by the Yorkin Women’s Group in their community several hours from the nearest road.